* Unbeatable downtown location > between Court House, City Garden and Garibaldi Sq. 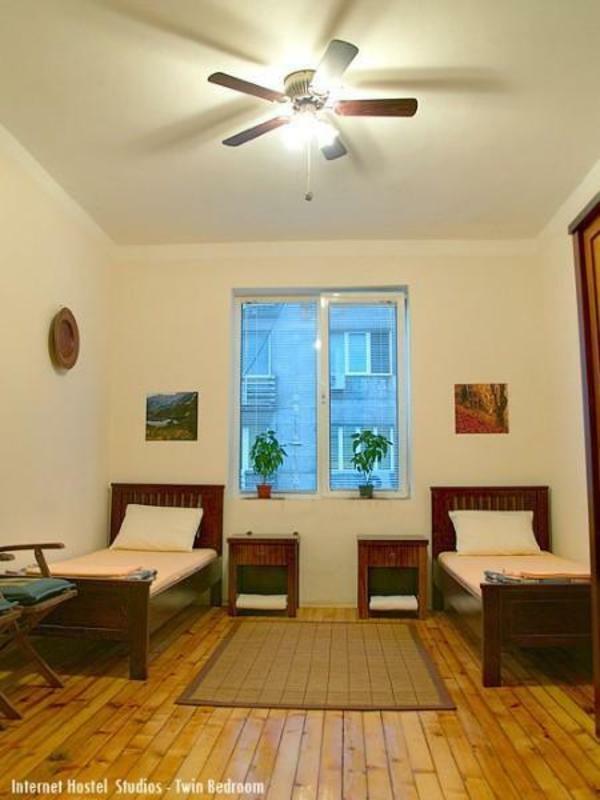 - Sofia most famous and popular spot /see the map/ - Voted as best located Sofia hostel for the last 6 years! * Remember: Sofia Center is a vast area, sometimes not very safe and pleasant in the evening. While many pretend to be in the center, we are right there! So check the map with our location and you will see why we are unique! * Single, Double, Twin, Triple and Quadruple rooms with 21' TV sets ! * We've got rooms for any size groups: from singles to big dorms with ensuite bathroom or shared facilities. If we don't have availability online contact us directly - we'll definitely find a way to accommodate you. 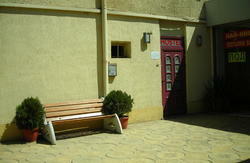 We have 10Euro key and room deposit for the dorm beds, and 15Euro for the private rooms. By Taxi /7-10 min/ > Go out from the Train station and take a look in left. You will notice a new modern building, located approximately 100m. Go there, this is Sofia Bus Station. Next to the entrance gates of the Bus Station, you will see a 'OK Supertrans' taxies booth on the opposite side of the Information. Ask the staff for a cab /they speak English/, showing them the address or better tell them to stop in front of the courthouse/ Sadebna Palata - in bulgarian/. When you are in front of the Court House, take a look at the opposite corner of the crossing where is McDonald's restaurant. You will notice above it big signboard with our hostel name. Go to the arcade (next to antique shop, approximately 15m from McDonald's). In the arcade take the first entrance(white door) on your left and the hostel is on the second floor above a bar and restaurant. /We have big Signboard on the 2nd floor of the facade, easy visible from opposite side of the street, Court House and the crosswalk /. The taxi shouldn't cost more than 4 Leva daytime and 6 Leva night. Do not accept any direct taxi offers from train/bus station area! By Metro > Take Metro and get off on 2nd /Serdika/ station. Continue walking until you reach The Court House /The building with 2 lions statues/. Take a look at opposite corner where is McDonald's Restaurant. Follow above instructions. By Taxi /20-30 min/ - Go to 'OK Supertrans' taxi company booth, located in arrivals terminal. Show them the address. They should give you a document for taxi order and will assist, guiding you to the cab or calling the cab driver. The taxi will stop on the opposite side of the street, where is located the hostel. Expect to pay between 12 or 14BGN /Bulgarian Leva/, day or nighttime. Few meters further you must see McDonald's restaurant. You will notice above it big signboard with our hostel name. Follow the above instructions. *Do not accept any offers of 'taxi' drivers trying to speak with you directly. Most likely you will be cheated with 3-4 times higher then taxi rates. Regular taxi rates at the moment are around 0.59 Bulgarian Leva daytime and 0.70 Bul Leva night rates per km. * If you want to cancel or change your booking, you can do that, at least 72h before your arrival date. Call us by phone or send email for confirmation. Otherwise your card will be charged, equivalence for one night stay. * We calculate sums shown in your reservation: 1.00 Euro ~ 2.00 Bulgarian Leva, the full amount is payable on arrival in cash. * Please, pay attention that all reservations are kept no longer than 2 hours after given arrival time. If you feel that you could be late, please call us. 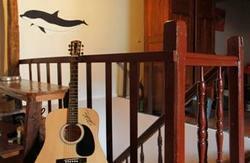 * We have 10Euro key and room deposit for the dorm beds, and 15Euro for the private rooms.